In this era of smart phones and tablets, a reassuringly traditional and stylish companion to slip in to your handbag. 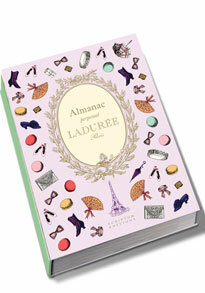 In this Almanac Ladurée share their lifestyle tips and secrets, day by day. * Over 100 quotes from international authors and sayings for each month. 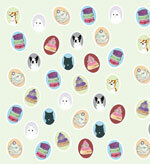 * 30 simple sweet and savoury typical Ladurée recipes. * More than 200 tips for cooking, table decoration, interior decoration, beauty, lifestyle. * A section called Did you know? for discovering, learning or remembering! * Diary-style daily space for your appointments, notes, thoughts etc.